Can you remember the last time you made a promise? Outside of our marriage vows, most of us do not like to think much about promises because they remind us of our past failed personal attempts to watch less television or to floss with more regularity. Despite our best intentions, if given the option to take the easy road or the hard road in life, we all tend to revert back to the path of least resistance. 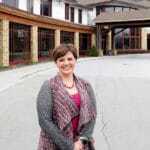 Stephanie Pate Greer, the Director of Behavioral Health at Appalachian Regional Healthcare System (ARHS), knows firsthand the danger of complacency. She and her team of nurses, therapists, crisis interventionists and psychiatrists have made a collective and unwavering commitment to always provide high quality behavioral health services in the High Country. For Stephanie, it was a promise made in heartbreak, steeped in love and maintained by her uncompromising resolve. Stephanie could run the cash register and count back change at 6 years old. It was at her mother, Geneva Pate’s side that she proudly learned the fundamentals of customer service while working at Pope’s Family Center in Newland, NC. In a town with only two traffic lights, she quickly became well-acquainted with everyone in her “Mayberry-esque” community. 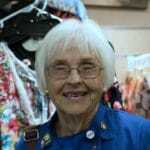 Between customers she liked to spend her hard-earned wages on peach Nehi and Whatchamacallit candy bars from the neighboring Avery True Value Hardware store. She also enjoyed spending quality time with her father, Dallas, a retired North Carolina State Trooper, who she considers to be the most influential person in her life. 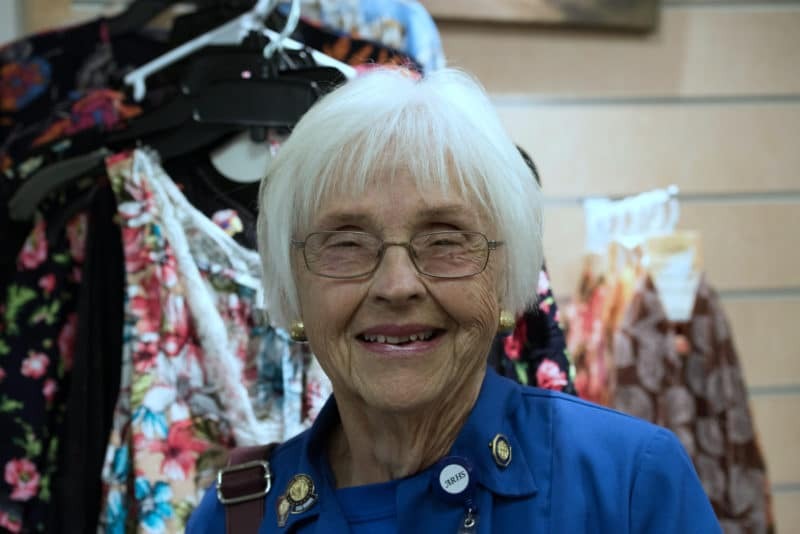 Some of her fondest memories took place in his patrol car, where she was allowed to run the radar detector, wear his trooper hat and just spend quality time with her favorite law enforcement officer. Stephanie was named Most Spirited in her high school annual. It was there that she competed in softball, cheerleading, public speaking and in other events as a part of Future Farmers of America, Fellowship of Christian Athletes, Future Business Leaders of America and in the Student Government Association. Throughout high school and college Stephanie worked on Grandfather Mountain. It was there that she started in the gift shop and then transferred to the role of zookeeper. 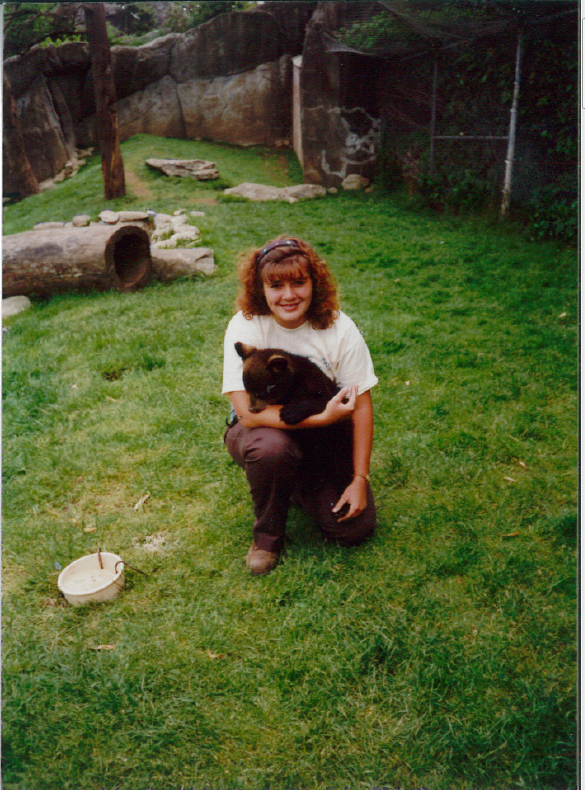 In that position, she was tasked to take care of the black bear, cougar, white-tailed deer, golden eagle, and bald eagle habitats. Determined, she went back to the cougar habitat a few days later to face her fears. This time, when the animal pounced, she held her ground – a lesson learned and a fear conquered. Stephanie’s interest in healthcare developed after she injured her knee cheerleading and had to endure multiple surgeries followed by physical therapy. Inspired by her own healthcare experience, she went onto Western Carolina University to study recreational therapy. Her program required a four month onsite clinical internship. Stephanie chose to complete her internship at Broughton Psychiatric Hospital because it was close to home and more importantly close to her parent’s refrigerator. Stephanie was hired as the recreational therapy supervisor for adult acute-care admissions at Broughton Hospital when she turned 21. Admittedly, it was a big job, and she leaned on her more seasoned staff to help her develop new programs, such as the first treatment mall, a school equivalent for patients suffering from mental illness. During that time, she was promoted several times and she went on to complete her Master’s in Business Administration at Gardner-Webb University. Her hardest lesson learned however took place one day when she heard screams coming down the hallway of her unit. 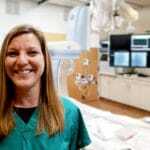 She raced to find a patient who had committed suicide on her watch. Devastated, she admitted to the patient’s family that despite checking-all-of-the-boxes in terms of safety and therapy, she viewed it as a personal failure. Through tears she made a promise to herself and to that patient’s family that she would never again be satisfied with just checking the boxes. After months of mounting pressure from a family friend, Stephanie finally agreed to go on a blind date with Allan, a Boone Police Officer. Fast forward 10 years. 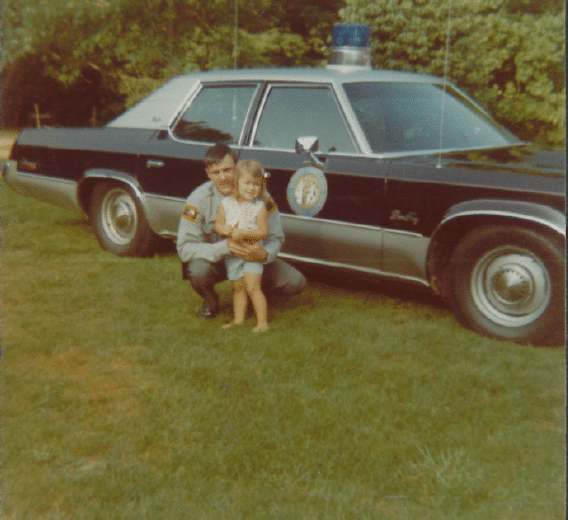 Allan had become a State Trooper, Stephanie was well entrenched in her role at Broughton, they now had two children and were “settled” in every sense of the word when she received a call from a headhunter in Arizona to inform her that a Director of Behavioral Health position had opened in Linville, NC. Assuming that she was unfamiliar with the area, the recruiter went on to try to “sell” the mountain community to his client. Stephanie smiled in a moment of serendipitous delight at the thought of returning home to her beloved Avery County. 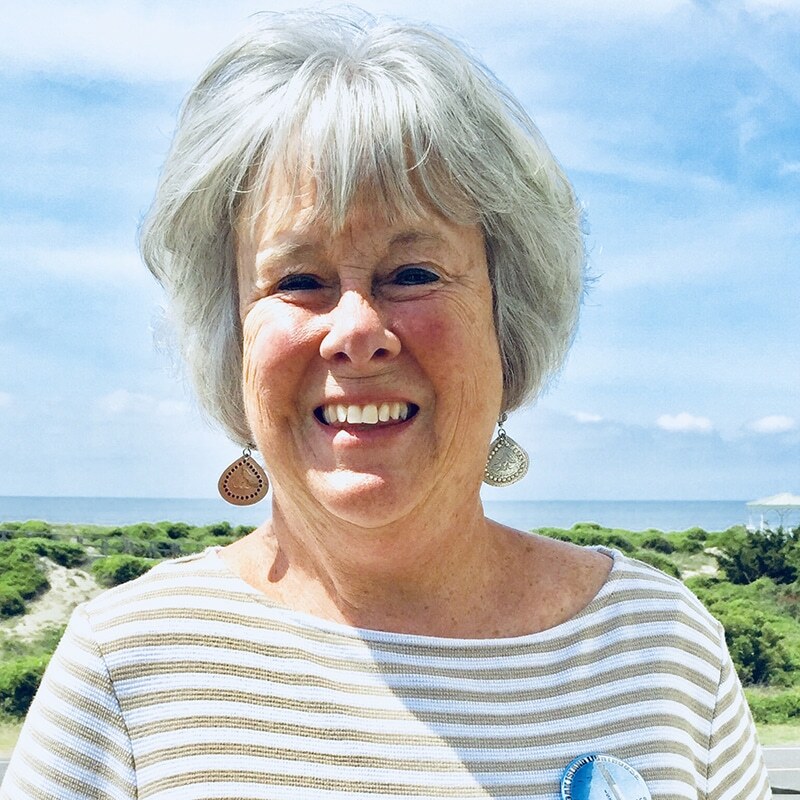 She was hired for the position at Cannon Memorial Hospital by Carmen Lacey, now president of the hospital and a lifelong friend; and Chuck Mantooth, President and CEO of ARHS. And so it was that the behavioral health department formed at ARHS. Within her first year she reopened a 10-bed inpatient behavioral health unit in the hospital. This unit is fully equipped to provide psychiatric evaluation, medication management, individualized treatment planning and group therapy. She also revamped outpatient behavioral health services to improve access to adult, child and family therapy. The outpatient program started with 12 patients and now maintains a caseload of more than 1300 individuals from across the High Country. She then launched the Behavioral Health Crisis Team in 2011. The mobile crisis team is designed to meet and treat patients at whatever point they access the healthcare system. In many cases, the crisis team has saved patients from having to incur costly and unnecessary emergency department visits. Despite these milestone achievements, the demand for behavioral health services continues to rise in North Carolina. As the only inpatient behavioral health facility within a 40-mile radius, Cannon Memorial Hospital receives more than 5,000 psychiatric referrals from across the state each year. Of those, the hospital is only able to admit an average of 560 patients into its 10-bed inpatient unit. To help meet this need, the North Carolina Department of Health and Human Services (NCDHHS) recently awarded Cannon Memorial Hospital with a $6.5 million grant, to expand the availability of behavioral health beds in the western region of North Carolina. The funding for this grant originated from the Dorothea Dix Hospital Property Fund, which was created by the North Carolina General Assembly from the sale of Dorothea Dix Hospital in 2015. 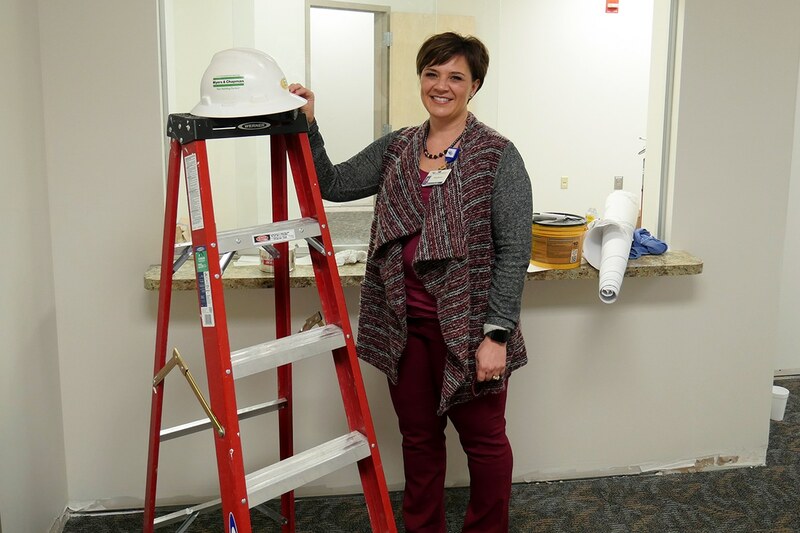 After months of careful planning, construction began last month to expand outpatient behavioral health services. Additionally, the grant will be used to create a designated 37-bed inpatient psychiatric unit within Cannon Memorial Hospital. Thanks to other funding sources, the medical side of the hospital is also getting an upgrade. Once the two-and-a-half year construction project is complete, Cannon Memorial Hospital will operate as a Critical Access Hospital, fully equipped with a state-of-the-art inpatient 8-bed medical unit to meet the needs of the community. In addition to behavioral health services and inpatient medical care, the hospital will continue to provide imaging, laboratory, primary care, surgery, rehabilitation and cardiopulmonary services. This full-service medical campus will continue to serve as the hub of healthcare in Avery County. 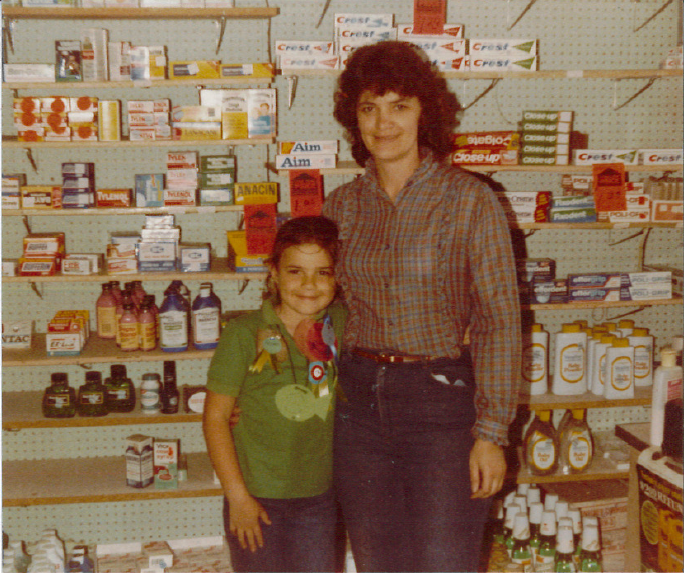 For Stephanie, everything goes back to that little girl behind the cash register with her mom. At an early age she fell in love with this community and she takes great pride in providing for its needs. In her office you will find motivational quotes hanging on the walls and pictures of her children prominently displayed on her bookshelf. She is proud to share that Zack, her oldest, is considering a career as a physical therapist. 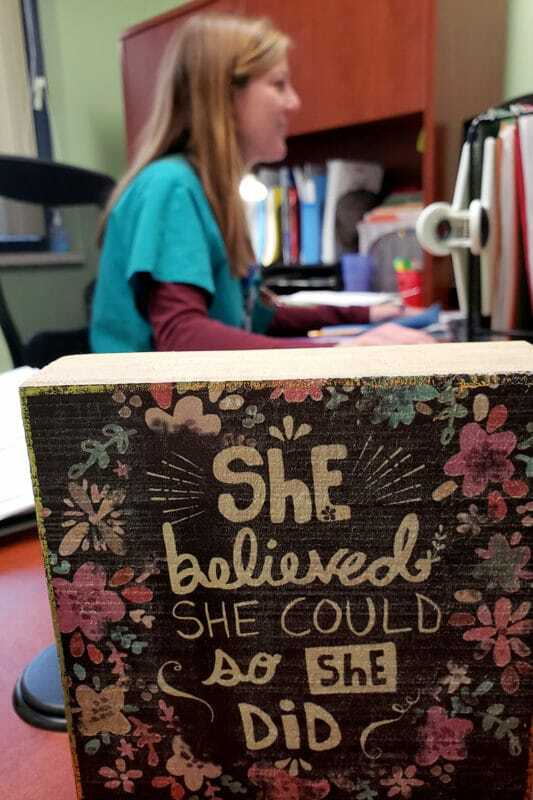 And that Reagan “Bob”, her 12-year-old daughter, has her mind set on following in her mother’s footsteps and becoming the next director of behavioral health at ARHS. It is clear to see, that like the rest of us, her children admire their mother’s heart and passion to serve others and have been positively affected by having the opportunity to be nurtured in the same “village” of people their mom did so many years ago. Have you ever thought about what goes into hospital operations? Oftentimes we spend so much time thinking about doctors, nurses and patients that we tend to overlook those who work behind the scenes to take care of the hospital building itself. Each pipe, ventilation shaft, walkway and lightbulb must be well-maintained in order to keep the hospital up and running. No one knows more about hospital operations than Carlton Isaacs. 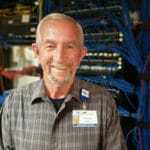 For more than 41 years, Carlton has served as a caretaker for Watauga Medical Center in Boone, NC. During that time he has shoveled snow, waxed floors, washed dishes, pulled telephone wire, and even helped out in the operating room. He jokes that he knows the ins and outs of the hospital better than his own home. Recently, roles were reversed however when the 67-year-old caretaker relied on the hospital to provide him with lifesaving care. Carlton was born and raised on a farm in Watauga County. It was there that his father taught him that ‘you are only as good as your word.’ This truth was lived out on the farm where he and his five siblings would milk cows, herd sheep and pull tobacco to help the family stay afloat. For fun the kids would eat popcorn and watch Westerns at night. They also enjoyed chasing fireflies in the summer and sledding in the winter. To help provide for the family, Carlton landed his first job in the environmental services department at Watauga Medical Center when he turned 17. His first assignment was to scrub and wax all of the floors in the hospital. Often viewed as a menial task, his supervisor noticed that he performed the job with a great deal of pride. Thanks to his positive attitude he was promoted to work in several other departments including plant operations and information technology. He was also recognized as the hospital’s employee of the year in 1991. One evening, while working second shift at the hospital, Carlton spied a pretty girl who was there to visit her sick grandfather. Unwilling to let the moment pass him by he summoned all of his courage to say hello. And so it was a friendship formed. Night after night the blushing teenagers would secretly rendezvous in the hospital cafeteria until one day when she informed him that her grandfather’s health had improved and he was getting discharged to return home. After a year of saving, Carlton purchased his datemobile, a red 1968 Chevrolet 327 Camaro. As fate would have it the couple went on to have their first of many dates at Hilltop Drive Inn and got married a year later. Today, after 47 years of marriage, Carlton and Mary have two kids, three grandchildren and three great grandbabies. Recently, because of his history with smoking, his primary care provider Jerica Smith, FNP, and Dr. Kevin Wolfe, a pulmonologist at The Lung Center in Boone, NC, recommended that Carlton participate in the hospital’s lung cancer screening program. This low-dose CT (LDCT) scan is free and available as a preventive service for Medicare patients between 55 – 77 years of age who qualify. Private insurance plans also cover the screening program. Unfortunately, the screening revealed a suspicious spot in his left lung. He was then referred to Dr. Tim Edmisten, a Boone native and general and thoracic (lung and esophagus) surgeon at Watauga Surgical Group. 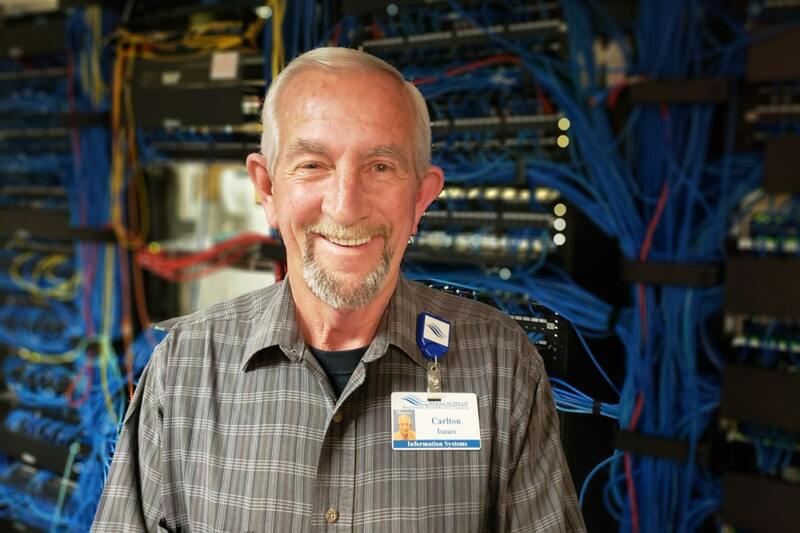 Dr. Edmisten and the surgical team at Watauga Medical Center were able to use an advanced minimally invasive technology called endobronchial ultrasound (EBUS) to determine that Carlton‘s cancer was detected by the screening CT scan at an early stage. EBUS combines traditional bronchoscopy (looking into the airway and lungs with a light) with ultrasound imaging to enable the surgeon to visualize and biopsy lymph nodes or masses beyond the traditional access points of bronchoscopy in order to increase the ability to obtain a diagnosis and determine the extent of the cancer. All of this can be done as an outpatient procedure without any incisions or need for lengthy recovery time. Thankfully, the EBUS and x-rays confirmed that Carlton’s cancer was localized in the left upper lung at an early stage, which would give him a high chance of cure with surgical resection, as opposed to the vast majority of patients who are diagnosed with lung cancer at a more advanced stage. Dr. Edmisten went on to explain that less than 20 percent of patients with lung cancer currently survive the disease because it is not detected until a more advanced stage. However, the screening program at Watauga Medical Center enabled Carlton’s cancer to be diagnosed at the earliest stage which would allow an 80 to 90 percent chance for cure with surgical resection. Dr. Edmisten and the team at Watauga Medical Center proceeded to perform a thoracoscopic lobectomy for Carlton which enabled removal of the upper lobe of the lung containing the cancer through a minimally invasive technique involving two keyhole incisions plus a 1 1/2 inch incision utilizing thoracoscopic video technology. This advanced technique, offered to less than 50 percent of lung cancer patients in the United States who have surgically removable tumors, provides the benefit of less pain, lower risk of complications, and more rapid recovery and return to work in comparison to the traditional larger open incision thoracotomy. As a result, Carlton was able to be discharged from the hospital two days after surgery and is thankfully on a full road to recovery. Before he was discharged to return home, Carlton was touched by the number of hospital friends who stopped by to check on him. Nearly two months after his procedure, Carlton, who still wears his 20 years of service pin on his belt buckle, is eager to get back to work on a part-time basis. When asked why he was only coming back part-time, he smiled and said, “So I can spend more time spoiling my grandbabies. Hi! 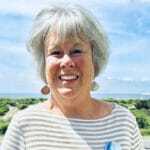 My name is Susan (Susie) Morgan and I have been a volunteer in the Gift Shop at the Watauga Medical Center since October of 2016. I retired from Appalachian State University in 2015 after 20 years in various positions, most recently as Director of Academic Testing. I am a big believer of giving back to the community, so after a year of “stagnation,” I began to look around for local volunteer opportunities. A good friend encouraged me to apply at the WMC Gift Shop and it has been a blessing to me. As my daughter says, “it keeps me off the sofa!” In addition to volunteering at WMC, I serve on the Board of the Women’s Fund of the Blue Ridge and on the “Bread of Life” committee at St Mary of the Hills Episcopal Church, which provides home cooked meals to Hospitality House, the local homeless shelter. I really enjoy my two afternoons a week at the WMC gift shop. The hospital personnel are so friendly and welcoming. Plus, it is fun to run into friends who also volunteer in other departments around the hospital. I look forward to coming “to work” here at Watauga Medical Center and encourage other “retirees” to join me! Do you ever stop to think about what goes into your purchasing decisions? For most of us, many factors work together to help us decide on a product. At the speed of scrolling we like to investigate everything, but we often don’t stop to consider how a company’s supply chain works before we purchase a cup of coffee, a new car or even our healthcare services. 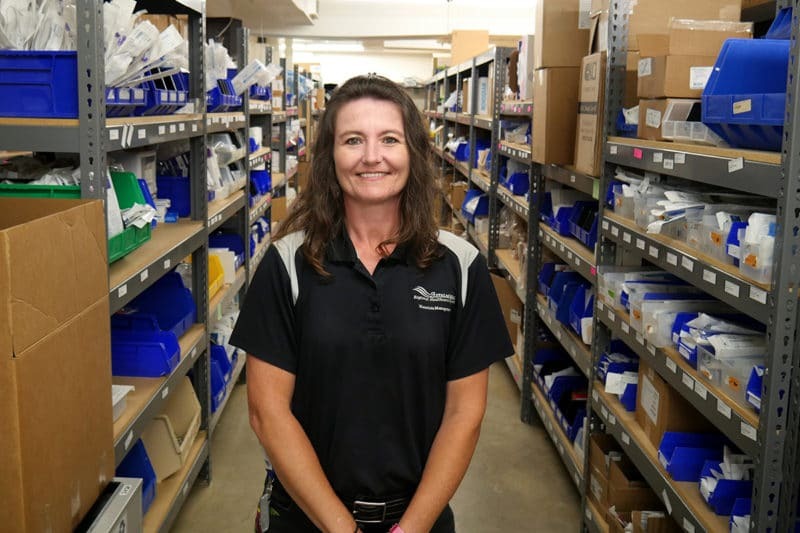 Wendy Martin, a materials management professional at Appalachian Regional Healthcare System (ARHS), works behind the scenes to ensure that every hospital and outpatient facility in the healthcare system is well equipped to provide a great product—quality medical care—for her patients. Wendy Martin was born and raised in the sleepy mountain town of Zionville, NC. It was there that she learned how to ride a motorcycle, bake cat head biscuits and work with her hands to fix just about anything. 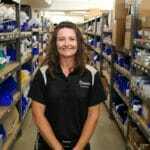 Wendy was hired as a storeroom assistant at Watauga Medical Center 11 years ago this August. Some mornings she arrives at the hospital’s loading dock around 6:15 a.m. to greet and unload medical supply trucks. Each week the materials management team receives and delivers 25-30 pallets of medical supplies across all of the ARHS hospital and outpatient facilities. 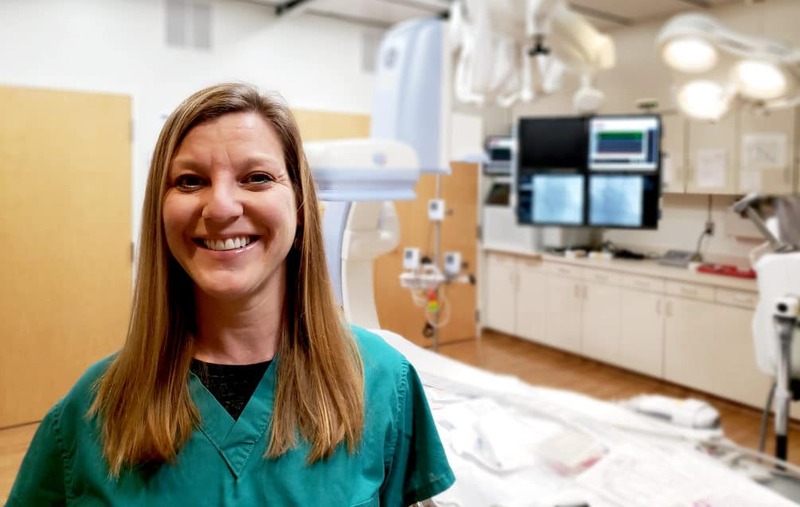 After working in the medical field and observing patient care for many years, Wendy recently decided that she wanted to learn how to start caring for patients in addition to her role in materials management. Last month she graduated from night school with her Certified Nursing Assistant (CNA) license. Eager to contribute in new ways, she hopes to start working a few days each week as a CNA in addition to her job in materials management. Her next goal is to pursue her phlebotomy license and then to become a Licensed Practical Nurse (LPN). 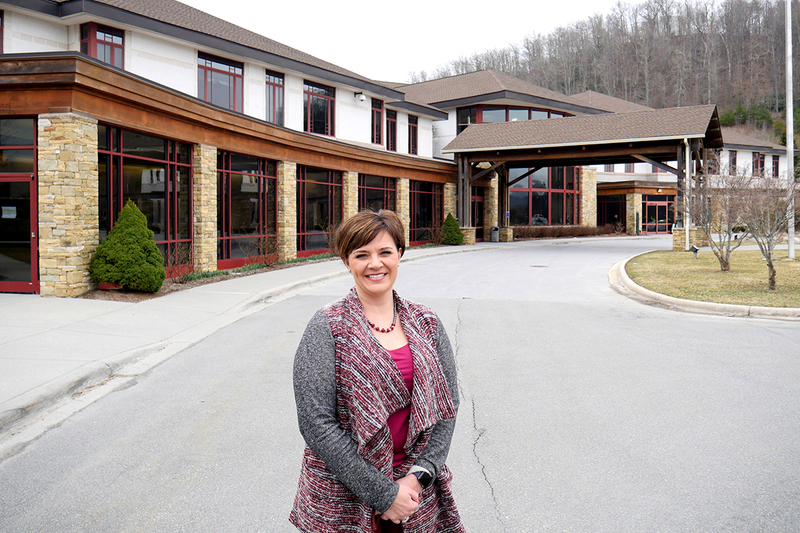 We consider Wendy Martin to be a difference maker at Appalachian Regional Healthcare System. Someone we all look up to. Someone we can all learn from. To learn more about the various career opportunities at Appalachian Regional Healthcare System, search for jobs, or contact a recruiter, visit apphrs.org/careers.